Finally I had succesfull. I close all the programs, reboot Mac and then it workeed. 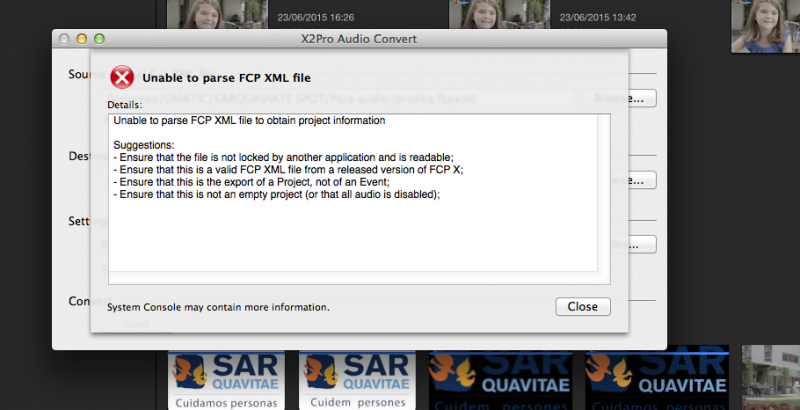 Can you provide your FCPXML to us, please? Also, can you provide me with a screen capture of your configured media locations. I've all time the same message, and i can't get the AAF files. 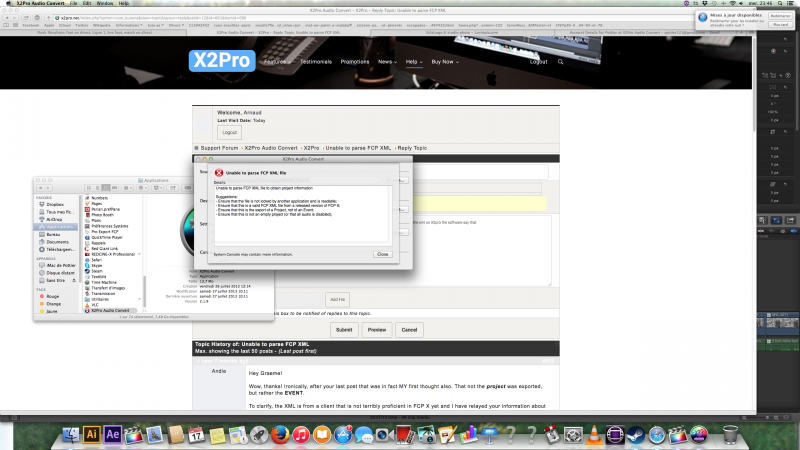 I bought X2pro today, and I need to do it. I think you must be using an old version of X2Pro. It works fine in 2.5.1 here. Is there some reason you haven't updated from the app store? Last Edit: 3 years 10 months ago by Graeme Robinson. In fcp or in Xpro2? But maybe this problem are for origin the fact of many sound of this project have the same name? If is not that i don't see what is this.